General Motors earlier this week announced a fresh series of recalls, going well beyond an earlier initiative to replace the ignition switch for select Chevrolet Cobalt, Saturn Ion, and four other models. On Monday, GM announced three separate recalls for more than 1.5 million vehicles and also took a $300 million charge off to pay for the repairs. The move surprised some analysts, including those still attempting to decipher the scope of the previous ignition switch recall announcement, a defect that has taken 12 lives. The most recent recalls were announced by GMs CEO, Mary Barra, in a video posted to the company’s website on Monday as well as in a statement to the press. Though potentially damaging to the brand, GMs move allowed the automaker to set the narrative, avoiding what most certainly would have been a brutal dressing down by the media. Instead, Barra explained that the recalls followed a request for a comprehensive internal safety review, in response to the earlier recall. In pushing these problems out to the light quickly, GM is one step closer to putting everything behind it. The financial write down gives the automaker credibility that they’re on top of the recalls, offering comfort to vehicle owners and shareholders alike. GM stock is selling for above $35 a share, up from $34 when the latest recall announcement was made, but down from its most recent high of $37.75 reached earlier this month. The three separate recalls involve vehicles across GMs current brand structure as well as one model from retired Saturn. The first recall involves 303,000 units of the 2009 to 2014 Chevrolet Express and GMC Savana vans with a gross vehicle weight of under 10,000 pounds. Affected vans do not comply with head impact requirements for unrestrained occupants, requiring a rework of the instrument panel. The second recall covers 63,900 units of its large 2013 and 2014 Cadillac XTS sedan. That model may experience engine fires if a brake booster pump issue is not resolved. To date, two unsold XTS models have experienced fires and two component meltdowns have been reported. The third recall is the most comprehensive one and includes some 2008 and 2009, and all 2010 to 2013 GMC Acadia and Buick Enclave models, some 2009 and all 2010 to 2013 Chevrolet Traverse models, and all 2010 Saturn Outlook models. With this recall, a wiring harness for seat mounted side air bags must be replaced. Nearly 1.2 million crossovers are affected. 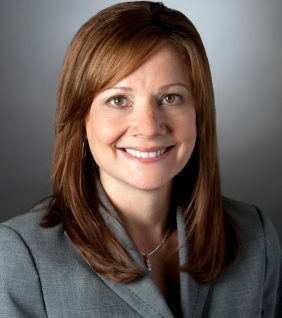 In her video announcement, Barra stressed that the company wants to be judged today by the actions it takes to respond to problems by addressing customer concerns. The automaker has dedicated 50 people at its Warren, Mich., customer service facility to handle recall notices. Barra noted that notices for the ignition recall have already gone out with replacement parts becoming available by the second week of April. Recall announcements for the other affected vehicles are being readied as of press time. Barra confirmed that two separate Congressional committees are looking at the ignition switch recall and noted that the U.S. Department of Justice has also launched an investigation. In each case we have pledged to cooperate fully while we work to make the recall itself as smooth as possible for our customers, said Barra. She added, These are serious developments that shouldn’t surprise anyone. After all, something went wrong with our process in this instance and terrible things happened. Barra noted her own responsibility as GMs CEO and her being a mother, demonstrating how the problems have hit home for her. The company has apologized and made assurances that the problem does not happen again. By responding proactively, GM demonstrates that will be on top of its problems. More importantly, the video address tells people, we care. That is the takeaway that allows GM to set the narrative. Video quotes from General Motors.